Mr. Cash & Mr. Pay – Up to New Experiences! The UAE is the country rich in various sightseeing attractions and recreations: historical museums, amusement parks, scenic viewpoints and many more. It is well known that many locals and residents, having thoroughly explored their own homeland, are going to other areas in search of new experiences. In our new animation one of our corporate heroes will go travelling, and will pay for the ticket with the new service of payment system NT.Payments. 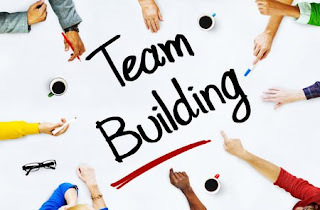 Team Building is a series of events aimed at the strengthening of the team, improvement of collaborative experience and exposure of communication problems with their following elimination. We’ve repeatedly wrote about events held in different departments of our company within the framework of employee training and education, as well as strengthening of our team spirit. And in our today’s blog we’ll share about the new event for the employees of commercial department. After the hot days’ period, the CEO of Kiosk IT System Trading LLC, Vasyl Katriy together with the Head of the Commercial Department held the educational training “The Art of Selling” both for beginners and professional managers of our team. The main speaker of the events was Aziz Haroun, who took the lead of the Commercial Department just recently. He has rigorously learned all the professional nuances of department’s employees, and thanks to his vast experience and high professionalism in sales he prepared educational materials adapted for our company specifically. Employees listened to the speaker with great pleasure, and got into a discussion in order to fully understand and thoroughly delve into the material. After the training the entire manager team, including team leaders, went to football club. Football is not only one of the favorite sports among expats in UAE, but is also considered to be the most widespread, popular and team-oriented game, which requires joint efforts of all players in order to win. Our company keeps up with the times not only in the field of developing of effective technologies, but also in the field of establishing and maintaining of reliable and productive relations between different nations, countries, mentalities and views. Corporate events, trainings and teambuilding held by our company are aimed at turning our staff into an effective team that achieves our common goals. Follow the news and you will be the first to know about our novelties and achievements!